Welcome to another issue of Totally New @ Totally Free. Just a quick note to let you know of the latest addition to the Totally Free Woodworking Plans website. 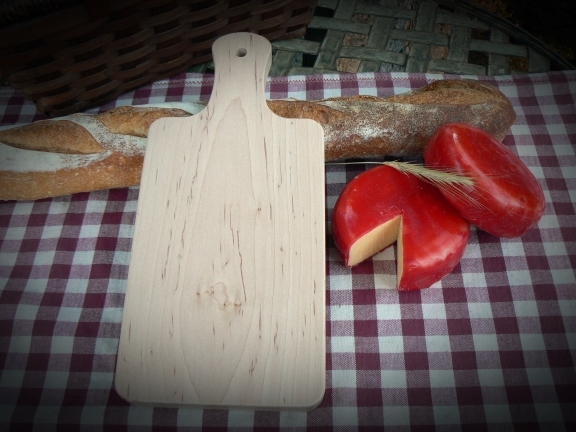 I made these wooden cutting boards a couple of years ago to give as Christmas gifts. That tends to be a common source of inspiration for plans on the website and now I can share them with you. Also, as I mentioned in the last edition of "Totally New", I've also begun to sell some of my creations on Etsy. Please visit my Etsy shop to see the growing selection of available items. Thanks for taking the time to read the newsletter and the website. If you have any questions or comments, please let me know by replying to this email.